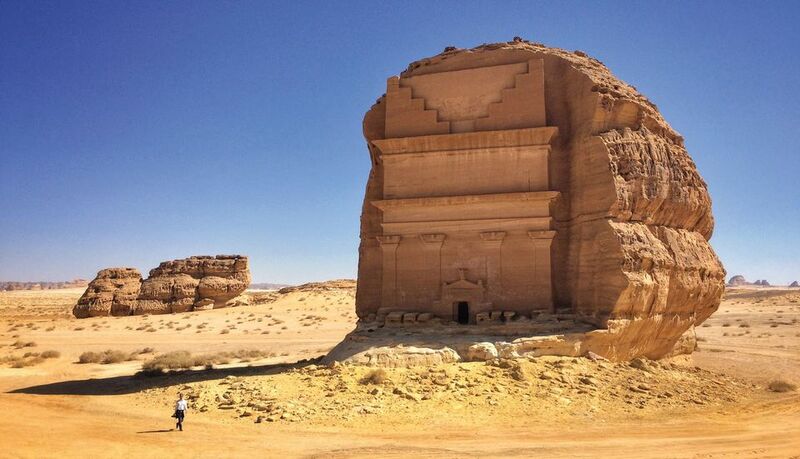 Just a day after Turkish officials announced that the journalist Jamal Khashoggi had been murdered in the Saudi consulate in Istanbul on 7 October, France’s president, Emmanuel Macron, issued a decree officially confirming the grandiose cultural and tourism development of Al-Ula Province in Saudi Arabia. It is a project born out of a personal commitment by both Macron and the Saudi Crown Prince, Mohammed bin Salman, so any change in the balance of power in the Kingdom is likely to threaten the undertaking. The financial agreement for the implementation of the multi-billion-euro project had been due to be signed in Riyadh during a state visit by the French president this month. Two weeks after Kashoggi’s disappearance, however, no official in Paris would comment on whether the visit was going ahead. France, like the UK and Germany, initially responded to Khashoggi’s disappearance with caution, calling for a “credible investigation”, but the country’s finance minister, Bruno Le Maire, then joined high-level officials who pulled out of last month’s investment conference in Riyadh. The initial agreement for the cultural project was signed in Paris in April by France’s foreign minister, Jean-Yves Le Drian, and Prince Badr bin Abdullah Al Saud, the governor of Al-Ula province, in the presence of Macron and the Saudi Crown Prince. There has been no comment from L’Agence Française pour le Développement d’Al Ula, the French agency in charge of the Al-Ula project. The proposed network of future museums and archaeological sites around a museum of Arabic civilisation is set to be three times larger than Louvre Abu Dhabi, the French-supported museum that opened in November 2017. Apart from this mega-project, memoranda of understanding were also signed with the Pompidou Centre, the Opera, the Institut du Monde Arabe and the film school (mostly for training programmes) during the Crown Prince’s visit to France this spring. None of these has yet been activated, but “for the time being, all cultural projects appear to be confirmed”, an official source says. “Several museums plan exhibitions or branches in China, where ethnic minorities and dissidents are detained and tortured every day. [Times of crisis] should not be a reason to stop cultural and scholarly partnerships,” says a curator involved in one of the projects. Louvre Abu Dhabi confirmed that its exhibition of antiquities from the Arabian Peninsula will open as planned on 8 November. A memorial service for Khashoggi was held last night in London.